If there's one thing I've learnt after the recent scandal surrounding a certain popular blog theme provider, who've actually gone mysteriously silent since, it's that you don't need to spend a lot of money to make your blog look good. 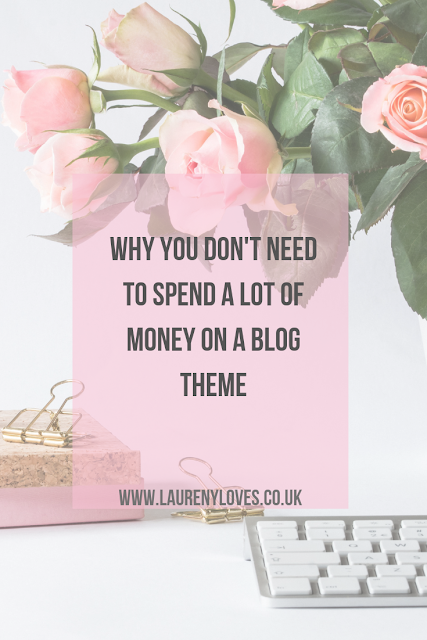 I learnt this the hard way as I'm sure many others have who were also effected by the scandal so let me impart some of my (limited) knowledge onto you and lets have a look at why you don't need to spend a lot of money on your blog theme. I started my blog way back in 2011, blogging was still relatively small and it certainly didn't look anything like it does today. My blog has always been a hobby, for almost 7 years I din't make a single penny from it and believe me when I say that small amount of money I do make now wouldn't cover a single one of my bills. So I try not to spend a lot of money on it, because for me it's not necessary and it's not money I'm making back. At the end of 2017, right before the new year I decided it was time to invest a little bit of money into my blog. New year, new blog and all that! Previously the only money I'd spent on my blog was for my domain (which I'd only recently splashed cash on too). 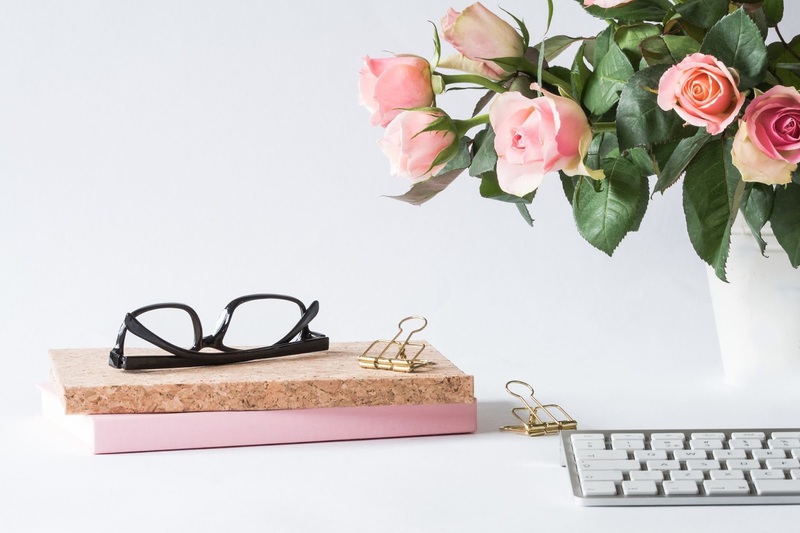 I was falling out of love with my blog, fed up of editing my own code with very limited coding knowledge and ready to invest a bit more time in blogging. To me it made sense to finally pay to get my blog looking like I'd always wanted it to look like. So I headed to the theme provider everyone always recommended, Pipdig, and spent just over £25 on a Blogger theme. It was beautiful, easy to install and my blog finally looked and functioned like I'd always wanted it to. £25 really isn't a lot of money, but to someone who only blogs as a hobby it's a fairly hefty investment but at the time it was so worth it. Less than a year down the line though I realised my theme didn't actually do everything I needed it to. The majority of people view blogs on mobile devices now and sure my blog looked clean and was readable of mobile devices but the only thing you could see were my blog posts. There was no access to the side bar features or top menu items on mobile, that meant that most of the people viewing my blog couldn't see my contact details, social media links, newsletter sign up and a whole host of other things. I found it odd and began to grow quite annoyed with my theme, the one I'd spent my hard earned cash on. By this time, the cheapest Pipdig theme available had gone up to £39. Thats a £14 price hike in a year which is a lot I'm sure you'll agree. I certainly wasn't in a position to be dropping £40 on my blog so I stuck with it, quietly becoming more displeased with my blog. Roll around to the end of March 2019 and all hell broke loose on Twitter, I'm not here to go over the finer details of the scandal but basically Pipdig were found to have some very questionable, unsafe and potentially illegal coding in their Wordpress themes. I sat and watched things unfold for a few days and read all the information that was put into terms that your average person could understand that I could in order to educate myself over what was happening. A few days later it broke that some of the questionable coding was also present in Blogger themes. I, like many other waited for Pipdig to properly respond, they'd put out a statement when the news first broke then there'd been nothing since, they'd not even bothered to discuss the Blogger side of it. I was already seriously considering looking for a new theme after the scandal came out but their silence is really what did it for me. So there I was skint and forced to look for a new theme. I certainly didn't have bucket loads of cash to spend on a theme and the popular rivals of Pipdig that a lot of people were turning to were still charging upwards of £30 for a theme. I was also finding it hard to find a Blogger theme, most themes seem to be for Wordpress these days. So I tried my luck on Creative Market, a site I'd seen mentioned a few times amongst all the chaos on Twitter and there I found the perfect theme. It did everything I wanted it to do and looked amazing on mobile and desktop. All the features were easily accessible on mobile which is what my Pipdig theme was missing and it was in the colour scheme I'd grown to love and associate with my blog. But the best thing? It cost $5, that's around £3.80! So here I am with my £3.80 theme feeling happier than I ever did with my £25 theme and it performs better too. What more could I ask for? I think a lot of people fell of Pipdig themes because of the team behind that company, one member was already a relatively well known blogger and I think this is also the case with rival companies too, they put their faces to it and that makes people want to buy their products. I'm not knocking their marketing tactics at all but as this whole thing has proven just because you "know" someone doesn't mean it isn't all going to fall apart. You do not need to spend a massive amount of money to get your blog looking good. If I'd have discovered Creative Market without the scandal I can honestly say I'd have purchased my current theme anyway because I was already unhappy with my Pipdig theme before the drama. I spent £25 for a theme that didn't do half of the things it should have done and that was my mistake, I too got swept up in the hype that was Pipdig. Anyone looking to purchase a new theme whether it be for Wordpress or Blogger, I highly recommend using sites like Creative Market over other places. You don't need an expensive theme, that's certainly been proven to me and I'd never dream of spending the money I did on my old theme again.